Vancouver, B.C. 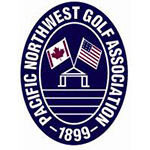 – Jackie Little of Procter, British Columbia shot rounds of 72-81 to win the Pacific Northwest Senior Women’s Amateur Championship. This is her third title in this championship, having previously won in 2008 and ‘09. In the Pacific Northwest Super Senior Women’s Amateur, Holly Horwood of Vancouver shot rounds of 73-80 to successfully defend her title. She won the championship last year, when it was held at Overlake Golf and Country Club in Medina, Wash. Horwood also won the 2012 Pacific Northwest Senior Women’s Amateur. Both championships were held concurrently this week at the par-73 Shaughnessy Golf and Country Club in Vancouver. In Monday’s first round of the Senior Women’s Amateur, Little shot the only under-par round of the championship, a 1-under 72. Last year, Little was inducted into the Pacific Northwest Golf Hall of Fame. Earlier this summer, she won the British Columbia Senior Women’s Amateur, the sixth time she has won that championship. After picking up her trophy this afternoon, Little immediately headed for the airport, where she is flying to compete in the U.S. Senior Women’s Amateur. In the Super Senior Amateur, Horwood got to collect the trophy on home turf. Horwood shot even-par in yesterday’s first round. Phyllis Laschuk, also of Vancouver, began the day in second place, four shots behind Horwood, and finished second, five shots back. Past champions Karen Madison (2015) of East Wenatchee, Wash., finished third, while Beverly McGladery (2012) of Vancouver finished fourth.